Beibei Ren received the 2017 National Innovation Award at the TechConnect National Innovation Summit for the patent addressing parallel operation of power electronic converters. One of the biggest concerns when running parallel power electronic converters is to ensure the loads carried by the generators are shared in proportion to their power ratings. 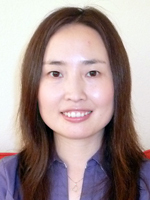 Beibei Ren, an assistant professor in the Department of Mechanical Engineering at Texas Tech University, has been recognized with the 2017 National Innovation Award for the patent pending, "Robust Droop Control for Parallel Operated Inverters." The TechConnect Innovation Awards select the top early-stage innovations from around the world through a review process with rankings based on the potential positive impact the submitted technology will have on a specific sector of the industry. "I am very pleased and honored to receive this innovation award, which recognizes the potential values of our technology disclosure in grid modernization with high penetration of renewable energy sources," Ren said. Ren will receive the award at the TechConnect National Innovation Summit May 14-17 in Washington, D.C.
At Texas Tech, Ren leads the Dynamic Intelligent Systems, Control and Optimization (DISCO) research group. DISCO focuses on pushing the boundaries of control theory for systems with model uncertainties and external disturbances, and also exploring the impacts of control in broad applications, such as grid integration of renewables and unmanned aerial vehicles. "Dr. Ren's outstanding research and professional achievements demonstrate her exceptional breadth in the theory and applications of controls engineering and her multidisciplinary expertise in the development of power electronics and microdevices for mechanical systems," said Oliver McGee, professor and chair of Texas Tech's Department of Mechanical Engineering. 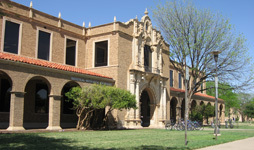 "Providing a strategic way forward for Texas Tech's academic and research quality requires exciting technological innovations disclosed by Dr. Ren, which serves to collectively raise the public's understanding of the societal impact of science, engineering and technology not only across the Texas Tech community but also across the state of Texas, the nation and around the world." The popularity of renewable energies, such as wind and solar, and the ability to distribute them along the power grid, is growing at a very rapid rate. Normally, power inverters are adopted in these applications to interface with the utility grid, or microgrid. However, with the growing capacity of renewable energies, such as megawatt-level wind turbines and large-scale solar farms, power electronic devices face big challenges with the need for high current and high power. Power inverters are required in parallel operation due to current and cost limitations of power electronic devices. Another reason for the need of parallel operation of inverters is to provide system redundancy and high reliability from the requirements of critical customers. Power sharing based on droop characteristics is widely used in parallel operation of inverters. The conventional droop control is not able to achieve accurate power sharing among parallel units due to the mismatched output impedance. Also, system uncertainty and disturbances such as large or fast changes of the load, variations of output impedance and fluctuating DC-link voltage, often affect the power sharing performance. All these challenges will be addressed by the technology -- Uncertainty and Disturbance Estimator (UDE)-based Robust Droop Control for Parallel Operated Inverters. It will provide a modification to the conventional droop control with advanced control algorithms. "Our work focuses on developing advanced-control algorithms to operate power electronic converters as a smart unified interface for grid integration of renewable energies in a stable and reliable manner, with minimal human intervention," Ren said. For more information on the TechConnect National Innovation Awards, visit its website.